It wouldn’t be wrong if we remark that we have two facets of media in our country. Majority of Indian media forums adapts the parasitic path. They try to feed on the issue burning the nation. The big question here is to why some media have their parasite mode on and why some Sudarshan news really understood perspectives and tried to mend the gap! The answer is, even after diplomatic attempts of Suresh Chavhanke to bridge the rift between makers and protesters, the effort was tactful. Of Course, there are people responsible for violence even after peace was called out, but in this map, the enormous patch is of those media who blame other as fringe and has no participation in maintaining the balance of heat in the society. Even though Suresh Chavhanke protested against Bhansali and the movie, he attempted a fruitful approach in a press conference held on 23 Jan, stating out his opinions after watching the film in a special screening for them approved by CBFC. Before all these developments, Professor Kapil Kumar had pointed out grave inaccuracies in the film and asked CBFC to declare it as a ‘Masala’ film. He was appointed as a significant committee member for the review of the film. Had been the professor satisfied with the film, the Karni Sena would have stepped down too. All of this twist was unprecedented! 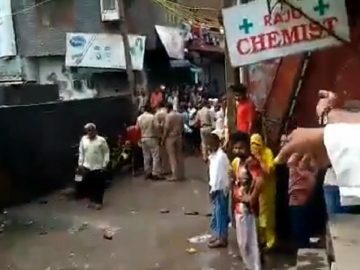 Sudarshan News have tried a significant hand in welding the crack by taking a positive approach instead protesting movie without watching it, but it failed as Rajputs Senas have turned down the request for stopping the protests. The role to bridge the gap tried by Sudarshan News is greatly appreciable! His pivotal role is significant. It is a tight slap to those media channels and organizations who fail to deliver conclusions and just strives to kindle the gap between the audience and Karni Sena. 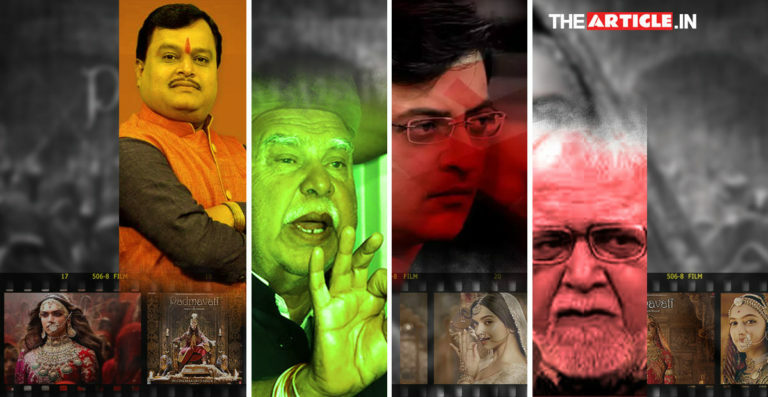 Sudarshan News has played a more significant role in shaping Hindu sentiments. It was the single media organization who had raised and attacked crucial issues, even after being called a fringe media! In 2012, Sudarshan TV was the backbone behind taking a Pro-Hindu and Nationalistic stance in exposing Islamic radicalization brimming in India. They also revealed Zakir Naik’s anti-Hindu preaches (the fanatic Muslim preacher who spews hate against Hindus). Issues like Love Jihad, Forced conversions and rise of PFI violence in India were also raised by Sudarshan TV. The problem over here lies within the Journalist fraternity. In his ferocious and chest thumping debate with Lokendra Singh Kalvi, Arnab Goswami did not allow Kalvi to respond to his questions congruously. It has always been observed on Arnab that neither does he wants to initiate dialogue nor does he wants a diplomatic approach to sensitive issues. Arnab had announced through his channel Republic TV that there is nothing wrong with the film. Arnab takes side according to time dictating the opportunities. Once he supported the state’s order in banning the movie, respecting their decision and after twists in judgments, he lashed out against the protesters after the Supreme Court gave out their verdict of No-Ban. Also, Arnab conveniently shifts his position on the matter to matter like his debate on Supreme Court Judges PC, he focuses upon D Raja meeting with Justice Chelameshwar. Even in the row of Padmaavat, Sudarshan News stands out as the only media organization tactfully handling the Hindu sentiment and the film. In the past, everybody sidelined them as fanatics. Nobody came out in support of Sudarshan whenever somebody criticized or attacked them. It’s probably because the Ambani’s never funded this raw and bold TV forum with the only vested interest of truth for the Nation. Rest all the forums are running to cash in their big fat pocket by unnecessarily conducting debates which never seems to reach a logical conclusion. Therein lies the responsibility of journalism, to ensure the balance of both Freedom of Speech and Freedom of conscience. It’s not the case here. It’s either ice or fire! 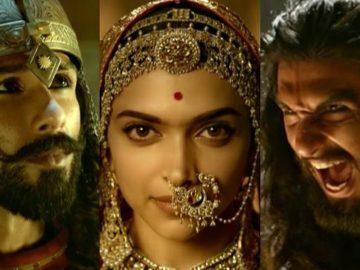 The Padmaavat row is a pure case of Egos mixed with rigidity served in the platter of Ideologies.